Here we go again. 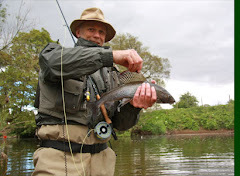 If you're daft enough to want to go grayling fishing this week end please read below first. THERE IS NO ACCESS TO GRAYLING FISHING THIS SATURDAY (18TH DECEMBER) AT PLOUGHLANDS/LITTLE MUSGRAVE. If this is really of interest to you then I understand that there are places that offer treatment for addictions. It's still rather cool with plenty of lying snow about. If the predicted thaw does happen there's only one place that snow's going to. THERE IS NO ACCESS TO GRAYLING FISHING THIS SATURDAY (11th DECEMBER) AT PLOUGHLANDS/LITTLE MUSGRAVE. Here we go again with what for most is probably the last thing on their mind at the minute! THERE IS NO ACCESS TO GRAYLING FISHING THIS SATURDAY (4th December) AT PLOUGHLANDS/LITTLE MUSGRAVE. LOOKING AT THE WEATHER FORECAST, UNLESS YOU'RE KEENER THAN ME, THIS IS PROBABLY A WASTE OF MY TIME BUT HERE GOES WITH THE NEXT REMINDER. THERE IS NO ACCESS TO GRAYLING FISHING THIS SATURDAY (27th NOVEMBER) AT PLOUGHLANDS/LITTLE MUSGRAVE. THERE IS NO ACCESS TO GRAYLING FISHING THIS SATURDAY (20th November) AT PLOUGHLANDS/LITTLE MUSGRAVE. Looking at the weather this evening and the forecast for the next few days I could be wasting my time here. However, here goes with the reminder. THERE IS NO ACCESS TO GRAYLING FISHING THIS SATURDAY (13th November) AT PLOUGHLANDS/LITTLE MUSGRAVE. THERE IS NO ACCESS TO GRAYLING FISHING THIS SATURDAY (30th OCTOBER) AT PLOUGHLANDS/LITTLE MUSGRAVE. THERE IS NO ACCESS TO GRAYLING FISHING THIS SATURDAY (16 OCTOBER) AT PLOUGHLANDS/LITTLE MUSGRAVE. IF YOU INTEND TO FISH FOR GRAYLING FOR THE REST OF THE WINTER PLEASE CHECK THE BLOG FIRST - THERE WILL BE SEVERAL OTHER DAYS AND I WILL UPDATE WHEN THEY CLOSE. Its a very cool start this morning for the last day of the trout season but looks like its going to be a nice day. The Eden is dropping and will be fishable in areas, mainly upstream of KS. It's not a very nice start today, it's persisting down. At the moment the river is in a good state but I would expect it to rise later in the day. The river conditions are still good and the weather is dry and overcast at the moment. Its a cool overcast start and the Eden is in good condition for a day on the river. The Eden is still slightly above normal but fishable. The weather is cool and overcast. As you can see on the cam the river is on its way down and it will be fishable in areas, probably the conditions will be better upstream of KS. The Eden still remains at a slightly higher level and does not appear to have dropped since yesterday. Last nights rain has brought the Edens water level up and more rain has been forecast today. The Eden is still dropping and will be fishable in areas ,upstream of KS mainly. The weather is dry and cool. There has been some more rain overnight and its still raining now. As you can see on the web cam the level is up and will probably stay high all day. Looks like the Eden has come up a Little bit overnight and some rain has fallen as well. So your guess is as good as mine regarding the river. Look at the web cam and river gauge @ Musgrave. As you can see from the web cam pic the river is good to go. The level has dropped at KS and is slightly above normal and it looks like we are in for a nice day. The river is dropping off now but still has a tinge of colour in it. So you have a frame of reference for the web cam pic the current level is 2-3 " above what I would class as normal at KS. The Eden is going up and down all the time at the min and I can't keep track of it. It appears to be dropping at the min but the fishing conditions are not good and the weather is wet and breezy. The Eden is on its way down again but is not in good condition for fly fishing, there may be the odd bit upstream of KS that is OK but it will be a struggle, plus its still raining. Foldable landing net found on the bank below the weir at Musgrave. To claim, ring 07864863843. The river is a bit 'up and down' at the min but is fishable in areas. The weather is breezy and overcast. The Eden is dropping back to normal and should be fishable in areas. The weather is dry and overcast. There has been a lot of rain overnight and as a consequence the Eden is up and coloured and unfishable. It's a bit of a wet start this morning with some rain about but the river is still at it's normal height. Weather good, river good, GO !! It's a dry, cool start and the river is still running at a normal level. Plenty of rain has fallen overnight but the river level is still good . The river conditions are still good but there is a lot of tree debris in the river because of the very high winds we had overnight. The weather at the moment is dry and breezy. The river conditions are still good and the weather is dry and cloudy. The Eden is still running at a nice level and the weather is dry and sunny. There are now over 150 catch returns posted on our website for this season. This is a really useful resource for all who fish our waters. Thanks to all who have sent in returns. Its another cool, clear start and the Eden is still good. A misty and cool start this morning and good river conditions. The river conditions are unchanged, still good but its a very cool start this morning. There has been a bit of rain overnight but the Eden is still running at a normal level. Bit of showery rain about and the river is spot on. The Eden is running spot on and the temperature is noticeably cool with clear skies. Its surprisingly cool this morning but at least its dry. The Eden is running at a normal height and looks good. The Eden is dropping again but is still a bit higher than the norm with a tinge of brown colour to it. The weather is dry and overcast at the moment. There was a fair bit of rain yesterday and it has brought up the river level a bit but it is still fishable in areas. The river has dropped nicely and the weather is dry and overcast. The Eden is fishable in areas and still dropping. The water has a brown tinge to it and the weather is bright and sunny. If your a 'worm drown er' you may like today's conditions because it is dropping off, if your a ' fly boy ' forget it. Perhaps some sport could be found at the upper reaches but it will be tricky. There has been lots of rain overnight and the river is to high for fishing at the moment and still rising. The Eden is running at a normal level (whatever that is!!!) and the weather is dry and overcast. It's got to be worth a shot. The rain came through last night ,as forecast, but the river is still at a normal level with a bit of colour in it. There is a chance that the river could come up as the day progresses because a fair bit of rain fell last night. Practically no rain over the weekend and the river was in good shape yesterday with just a little colour. No further rain to talk of yesterday and the river's back to the height it was on Friday. If it's not cleared, it should be well on its way. Be prepared to move further upstream if there's too much colour lower down. Apologies for yesterdays missing update (my fault for not checking e-mails). The river shot up at about 9pm last night, peaked around midnight and is now on the way back down again (according to the EA's gauging station at Musgrave). My guess is that if anywhere is fit, it will be the upper river. Alternatively, try Bessybeck or wait until tommorrow. The weather is dry and overcast and the river is running at a good fishable height. The river is still at a good height and the weather is cool and showery. The Eden is running a bit beer coloured and has dropped to a normal level. The Eden has dropped to a fishable level but the river will be a bit higher downstream of the belah and scandal beck. The river level has stayed more or less the same since yesterday and is still running high but you may find the odd fishable area here and there. Have a look at the river level at musgrave on the link john gave you . A fair bit of rain fell overnight and it has brought the river up. It will be fish able in areas upstream but could be a bit awkward downstream of the Belah and scandal. I would check out the river gauge link for an accurate height. Save it to favorites if you haven't already. The river is still running at a reasonable level and the weather is dry and overcast with some rain on the way. The Eden is still running at a good summer level but it is quite noticeable that it is cooler than it has been recently. The conditions are the same as yesterday, however, there have been a few very light showers this morning. The Eden is still running well with a tinge of colour in it. The weather is overcast, warm and dry at the moment. The rain seems to have stopped...for the time being! The river is running well with good colour to it and seems to have hardly been affected by yesterdays rainfall. The river conditions are still good with a tinge of colour in the water. The weather was supposed to be good today but at the moment is raining pretty heavy. The river level is good with a tinge of colour in it and the weather is dry and overcast. Another relatively dry day yesterday and the river levels should be unchanged. It's overcast with little if any wind again. Another potentially good day ahead. No change in the weather or river conditions since yesterday. Curently overcast and calm. Time for a sickie? No rain again over the last day and the river should still be OK. It's overcast at the minute and calm. Yesterdays short spells of light drizzle will not have made any difference to river levels. Weather today is overcast and calm. Looks like the chance of another good day. The light rain of yesterday has made little if any difference to the river. It should be fishable all the way. There's more drizzle or light rain forecast for today but it's unlikely to have any effect on the river. The link below gets you to EA's river level at Musgrave - save it to your favourites and I'm redundant!! A GOOD DAY IN PROSPECT? Again, no rain yesterday or overnight. The river should be just about right. The weather's overcast and calm. Go get 'em. With no further rain over the last 24 hours, the river should something like. If the lower stretches are still marginal try further upstream. Weather at the minute is dry, bright and calm. It could be a case of head for the trees in order to find some shade. 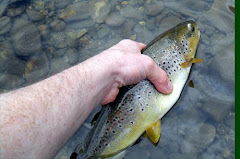 With little, if any, rain yesterday and overnight, the river should be starting to drop back to a fishable condition. As usual, the upper reaches will be the first to come good again. Following Steve's report for yesterday there's been almost an inch of rain in the last 24 hours. It's unlikely that you would get near the river, never mind in it. Today's a good day to stack up the brownie points. The Eden is bombing through, forget it. All the rain has brought the river up and left it un fishable with a fly. The weather is wet and wetter. The river level is changing all the time and is currently dropping again but there more rain forecast for today. It is fish able at the moment though. The eden is dropping down now and will be fishable in areas but will be higher downstream of KS. The river is up a bit more and would be difficult to fish, plus I would expect it to come up some more yet. The weather is bloody terrible, wind , rain and a weather warning. Don't bother ! There was a few storms around last night and it has put a fair bit of water in the Eden. It is running about "normal" level and beer coloured and fishable but it has been so long since I have seen normal , so I'm not sure. It may well be a bit higher downstream of the other becks. Its going to be a showery day with some very heavy rain forecast for later in the day and the river is at the same level as yesterday. There is a mountain rescue exercise on wednesday evening from Trainriggs bridge upstream to lowmill bridge. For the exercise there has been some items of clothing left on the riverbank, please do not remove them if you find them and if you would like them after we have finished just ask. The Eden has a slight beer colour to it and the river is a bit higher than it has been recently. The weather is dry and breezy with some patchy cloud. The river is up about 3-4 inches on recent levels and looking good and lets face it anything looks good compared to the way it has looked for the past 4 months. The river has risen a bit more with all the rain and it looks very good and fresh, for a change. The weather is windy with showers. The river is still running a bit higher with some more fresh water in it and the weather is sunny with showers. 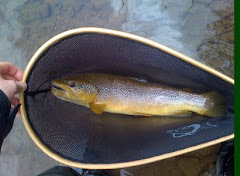 All the rain recently has found its way in the Eden and raised the river level a few inches and really freshened it up. The weather is overcast and dry. Some much needed rain is falling at last. Hopefully it will bring up the river level etc. The river conditions are still low and the weather is dry and overcast. There was a fair bit of rain in a short time yesterday and it has put a small amount of fresh water in the Eden, but not much. The weather is dry and sunny with a fresh breeze. The rain has not arrived yet but it is very windy. The river conditions are still low. Sunny start this morning with some patchy cloud. The river is still low, as you would expect. There has been a fair bit of rain overnight but it has not moved the river level at KS. The weather is overcast and dry at the moment. The weather is changing with some rain on the way but still dry at the min. River conditions are still low. The showers of the last couple of days have made hardly any impression on the river level. Just to make life a bit more challenging, it's also pretty bright at the minute. Accept the fact that you're going to lose a fly or two and try under the trees. Nobody said it was going to be easy!!! River is at a nice height. Weather is a mixture of sunshine, cloud and the odd light shower. Some wind to ruffle surface. Some nice fish can be expected in the catch returns. However, it's not enough to make any difference to the river just yet. The weather at the minute is drizzle, calm and warm. Approach it carefully and there's nothing to stop you catching fish today. Thanks to all who send in an online catch return after each session on the river. Please do include your name so that your season's catch return can be calculated for you at the end of the season. Note that names are not published on the website. Lots of rain fell yesterday evening but it hasn't moved the river level much but it has to help. The weather is dry with patchy cloud and sunny spells. There was some very heavy showers yesterday that must have put a small amount of fresh water in but its barely noticeable. Dry and cool with patchy cloud at the min. Cool and clear and the river is fishing well but running low. Overcast and cool today with no rain in sight at the min. There is no change in the river conditions and the weather is dry, warm with some hazy sunshine. The temp was in the mid to high 20s yesterday and looks like being the same today. As you have probably guessed, the river is still low. There has still been no rain so the river is still low. Looks like the weather is going to be hot and dry today. As you may have guessed nothing has changed except the fact that it is going to be warmer. Patchy light rain this morning and the Eden is still low. A bit of rain has fallen overnight but it isn't much and won't affect the river level. As you would expect the river conditions are still low and the temp is cool with clear skies. The Eden is still running low and the weather is overcast and dry. It's cloudy and overcast with occasional showers and the Eden is still running low. The weather is bright, sunny and cool and the river is still running low. Its overcast and raining at the min and the river is still running low but fishing well if your fishing stealthily. Sunny , low, cold, Yah da yah da yah da ! Bright, sunny and cool and the Eden is still low but fishing well. Sunny and cool start this morning and the river conditions are still low. There has been some much needed rain in the last 24hrs and it is still raining now but it has not affected the river level yet and is unlikely to do so unless we get a lot more. Still got a cool wind coming in from the north east and the river is still low. No change on recent conditions - the river's showing its bones, the wind's in the North and it's pretty cool. However, while it's not going to be easy, it's not impossible. If you're in the right place when the flies are coming off stealth tactics will produce results. Today is overcast and there have been a few light showers which have freshened up the river but they have not changed the level at the moment. Its raining quite steadily at the moment but it has not affected the river level and unless we get a lot more I wouldn't expect it to move the level. Bring on more rain ! The river conditions are still low and the weather is dry and overcast with some showers forecast. The Eden is still running at a lower level and the weather is quite nice, cool but sunny spells. The river is still running low and the weather is cool and overcast. If you have read what I have written for the last 3 weeks you will know the weather and conditions. It did rain yesterday but it didn't touch the river level. Still no rain so the river is still low but fishable and the weather is dry and overcast with sunny spells. The river is still running low and the skies are cloudy and its a bit cooler than of late. It is another warm, overcast morning. The river is still running low. Its grey this morning and quite warm, could be a good day for a shot at them. The river is still running lower than normal. Its bright and warm and the river is still running below its 'normal' level. There was a bit of rain yesterday but it made no difference to the river level and the weather is overcast with sunny spells. Its a warmer, breezy morning with sunny spells and some rain on the way, apparently. The river is still lower than the norm but fishing very well. Another great day in store, not the best day for fishing but good for chilling by the river. The Eden is still running lower than the norm and gin clear. The weather is cool and overcast and the river is still running well. The river conditions are unchanged and the sky is clear and its quite cold. Its a cool sunny start and the river is still running clear and slightly low for the time of year. There has been a small amount of rain overnight but it has not changed river levels. The weather is cool and breezy with sunny spells. The river conditions are still good, bit low for this time of year but fishing well. Its a overcast, dry and warm start to the day and the Eden is still running fine. The river conditions are still good and the weather is sunny and cool this morning. The Eden is still in good condition, the weather is overcast, dry and cool. The Eden is still fine and fishing very well ( have a look at the catch returns) and the weather is cool and overcast. The river conditions are still good and the weather is dry,overcast and slightly warmer than yesterday. The river conditions are still good and the weather is dry, clear and cool this morning. Its a dry and bright morning and the river is still running at a normal level. The river conditions still good and the weather is dry and overcast at the moment. Some great catch returns are coming in. See them here. Please complete an online catch return each time you fish. They are of great interest to everyone. Don't wait until the end of the season - Catch and Return Online!. Looks like its going to be a very nice day and the river is spot on. Its an overcast, slightly misty morning and looks like it could be a nice day. The river is still running at a normal height. Its a clear, cool start to the day and the river is running at a good fishable height. The Eden is fishable in areas but there has been more overnight rain to top it up. All the rain brought the river up quite a way yesterday and its still dropping now. It will be fishable in areas and will be best upstream of KS. The weather is windy and dry at the moment but looks like rain. The river conditions are still good but the weather is horrible. It's raining persistently and quite breezy and I would expect all this rain to bring the river level up later today. Its a dry overcast morning and it feels a bit warmer than of late. The river conditions are near perfect. 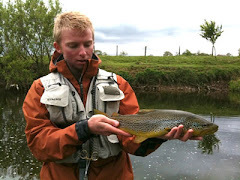 The Eden is still in a good fishing condition and the weather is wet and misty at the moment. If you are coming fishing today please remember will be a lot more traffic on the roads around KS and Brough because the classic vehicle rally is on sat and sun. Allow more time. The river has dropped and cleared, plus the weather is dry,frosty and cold. Good friday, good weather, good conditions. The Eden is dropping but the conditions will be difficult with a fly the further downstream you are. It depends how keen you are. The weather is cold and breezy with snow on all the higher fells around KS. The Eden is running up and coloured. It is dropping but won't drop enough for a session with fly. The weather is cold with rain at times. The river is dropping but it will be difficult to fish with a fly. The weather is wet, breezy and cold. The river conditions are good again and its a cold , frosty start. The river has dropped to a good level and the weather is dry, overcast and a bit breezy. The Eden is slowly dropping but it still 4-6" up on its usual level and beer coloured at KS. I would expect it to be higher downstream. It will be fishable in places though. The weather is dry and sunny. Horrible wet and windy day. You will have to go to work !! Plus the river is up and coloured and still rising. There has been even more rain overnight but the Eden is running ok with a slight beer colour to it. But it may be slightly higher downstream of KS and the level may change either way as the day progresses. The weather at the min overcast with spits and spots. There has been a fair bit of rain in the last day 12hrs and now the river is up slightly and it could rise more yet. The weather is wet and windy. The Eden rose a few inches yesterday afternoon but is dropping again now and is fishable again. The weather is cool and dry at the min. The Eden is still running well but there has been a fair bit of rain overnight so the river level may increase as the day progresses. As predicted the Eden rose a few inches yesterday but it has dropped again and is now fishable. It has been a clear night so its a bit cool at the min but looks like it may be a nice day. It's not a nice start to the day. It's raining now and it looks like a fair bit has fallen overnight. But the river is still running clear and at a nice height, just be aware this could change as the day develops. There has been some rain overnight and it has brought the river level up slightly but it is still fishable. The weather is dry and overcast at the min but with a stiff breeze at times. Don't forget the AGM tonight at the Kings Arms K S.
Sorry it's late but you probably sussed out that there has been no rain so it's still good. Its raining this morning but the river conditions are still good and it feels much warmer than yesterday. Frosty start this morning but looks like its going to be a very nice day. The Eden is still running at a normal height. The Eden is running at a good height with a bit of snow melt coming down, so there is some colour in the water at K S.
Throwing a sickie tomorrow ? ?